Picture this: a designated wild and scenic river; stands of evergreens; maybe a wolf howl or a coyote yelp; wild turkeys; bald eagles; deer; a lovely, inviting, room of your own with private bath, refrigerator, desk, a coffee pot; easy-access hiking trail; hot tub; no Internet; no phone; no TV; no traffic. Now add this to the mix: 5 other writers, some published, some just beginning; an experienced facilitator who is also a seasoned teacher of writing as well as a published author and poet; gracious hosts; two well-equipped kitchens, a warm and inviting dining and communal space, complete with fireplace, a deck big enough for your morning yoga or tai chi routine. What do you have to do? Write. Read. Breathe. Go for a walk. Cook for yourself. And nothing more. Sound like just what you need? Then, WELCOME! Welcome to the Clearwater Writers Third Semi-Annual Women’s Retreat! 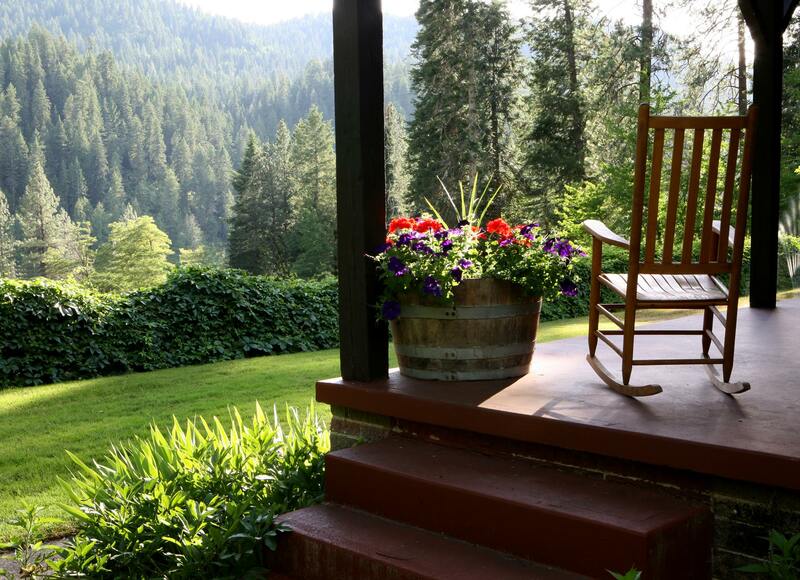 For just $325 (nearly 50% off the usual room rate) you can situate yourself at the incomparable Reflections Inn on the Clearwater River in North-Central Idaho for 5 days and nights of writing and letting go of the hectic pace we’ve all grown so accustomed to. Take some time for you. Nothing to do but write, think, imagine. Facilitated by poet and author Paula Marie Coomer (more about Paula Marie Coomer here and here) and hosted by Jim and Ruth May, innkeepers at Reflections Inn, the experience promises to be just what you need, whether you are jump-starting a writing career, finishing a project, or are somewhere in the middle. You can consult/brainstorm with Paula on whatever you are working on and/or receive manuscript feedback on site for up to 20 pages (double-space, Times New Roman, 12 cpi) of prose. All you need to do otherwise is to bring yourself, comfy clothes, food for yourself for the week (we will be nearly 15 miles from even the smallest of grocers). To get the process started, complete the form linked below and mail as soon as possible to the address listed on the form, and Ms. Coomer will contact you with further details. Check-in is 3 p.m. on 11/20; check-out is 11:00 a.m. on 11/25.